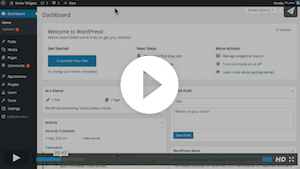 This series of 20+ free WordPress video tutorials cover everything you need to know to get started using WordPress. Learn quickly how to set up your theme and discover how to get most of it in just a few minutes. If you are here for the first time, we recommend you to browse through our informative resources which covers most of your questions. Need one-to-one assistance? Get in touch with our Support team and we'd love the opportunity to help you. No, we don't offer, but we have a few WordPress hosting recommendations listed here. If you need a Customization you can hire our team here. Do you have dummy content from your demos? Yes, we have a page full of each themes demo content ready for you to download, setup, and test your theme with. Head to our Theme Demo Content page to download them now! Can I use these themes on multiple sites? Am I allowed to remove your copyright notice? You are not required to provide any credit or links back to WPZOOM, although we do appreciate it. Our themes do not contain any encrypted code, so removing the links is an easy process. The line with WPZOOM logo is included in the footer.php file of your theme. Can I translate a theme? Yes. All of our themes are localized (internationalized), and this allows you to translate easy your theme in any language. For more details read our tutorial on translating a WPZOOM theme. All of our themes are compatible with the latest version of WordPress. Each time a new version of WordPress is released, we check our themes for compatibility with the new version, and we update them if this is required. Also we update our themes any time we discover a bug or a new feature has been added to the theme. All updates and new versions are free of charge for existing customers. If you want to continue having access to our Support Desk, Downloads and Theme Updates, it's recommended to renew your license for as long as you plan to use the themes. Individual Theme licenses and All Themes Package can be renewed after 12 months at a reduced rate. Can I use your themes after 12 months? Yes, you can use all the themes you’ve downloaded even after your annual support license has ended. Yes, you can upgrade at any time to any other of our products you want. You'll only need to pay the difference between your current product and the one you want. For more details contact us directly. Need assistance? Please get in touch with our Support Team.